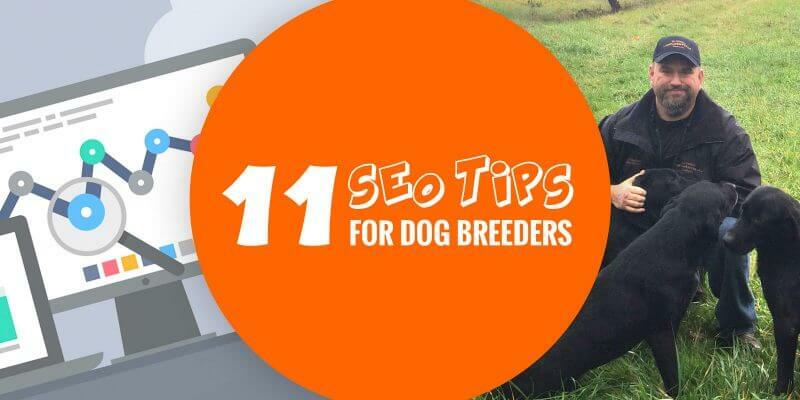 This article offers the best SEO tips for dog breeders, teaching you the best practices to receive a lot of organic search traffic. The good news is that these are simple to put in place, the bad news is that it can be time consuming. It’s simple, but it takes time to do, and time to get indexed by search engines. Search engines like Google, Bing, DuckDuckGo, and many others, have for the last decades tried to figure out the best way to extract the meaning and topics discussed in a given document, or web page. That way, when people query that given topic in the Google search box, they can show your particular page more or less higher in their results. If you understand what Google focuses on and uses as search signals, then you can improve your kennel website rankings, and SEO. For those who do not know, SEO means Search Engine Optimization. This article is not a comprehensive guide for professional webmasters. Instead, this is a very digestible, and very actionable, list of points you must focus on as soon as possible to boost your rankings. The first concept a webmaster must understand, regardless of what his website is about, is to come up with a list of keywords. What are keywords? They are topical phrases that your website must reference regularly and naturally. 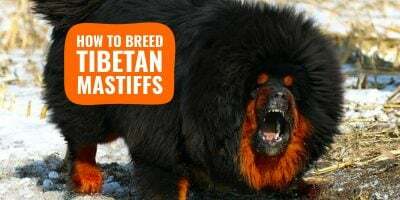 For example, our website is about dog breeding and many pages in our website mention keywords like dog breeding, breeding dogs, dog breeders, how to breed dogs, what is a pedigree dog, etc. These key phrases must be somewhat (or even better, directly) linked to search queries people would type in order to find you. Each article on your website should focus on a single key phrase and its variations. 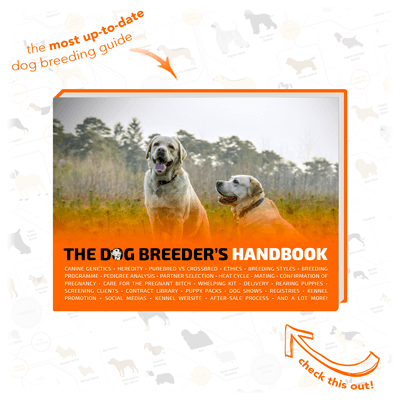 The variations are very close matches to the main key phrase; for example the main keyword dog breeder has dog breeders, and ethical breeders as variations. An article about dog hair brushes will have many more variations such as dog brush, dog brushes, dog grooming brushes, best dog brush, etc. The last one could be an article of its own with your take on the sloped back issue or debate within the German Shepherd community. You would use these variations within the article, in a natural way, so search engine can easily grasp the main subject matter(s) on this article; and offer it high in such search queries. The first one may get a high volume of searches monthly, but even if you happened to be ranked first, you would not actually convert more. There is no location given, nor is there a clear intent. The second search query is a lot more informative: somebody is searching for the best german shepherd breeder in your location. Clearly, this person wants to buy a puppy, and it’s much easier to rank for this keyword. You can use Google Keyword Planner to have an estimate of the search volume for a given keyword but it’s a little technical so I would recommend you to simply use common sense with your keyword selection: pick long-tail search terms that are about your activity, specialty, hobby. The more it is niched down, the easiest it is to rank high. Once search engines have identified your site-wide topics, and article-specific topics, they must then have their assumptions that you website is offering good content confirmed by other sources. This is what Google’s founder Larry Page created; and this is how Google became the best search engine ever. People used to stuff their pages with keywords so they could rank high; so Google came up with an algorithm (PageRank) calculating the value of a page by how often other websites are linking to it. The second layer is to factor in the reputation of these websites and discard websites with very little or not reputation to avoid people creating many websites interlinking themselves. You will hear the term often, a backlink is a link pointing to your site from another website. This algorithm is still a big part of Google’s search black box and if you want your website to appear high up in the SERPS (search engine result pages), you will need to obtain links from other websites related to yours (e.g. 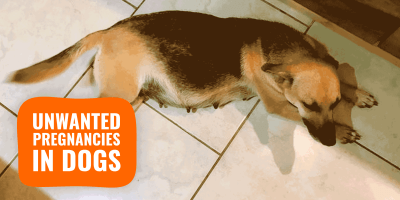 other german shepherd breeders, dog blogs, etc.) This is called link building and it’s very much time-consuming. Most people will ignore your requests so make sure you bring them value when you send an email: offer them to write a free article on their website, for example. There are various guides online about link building so check them out here, here, and below for a video from Google themselves. 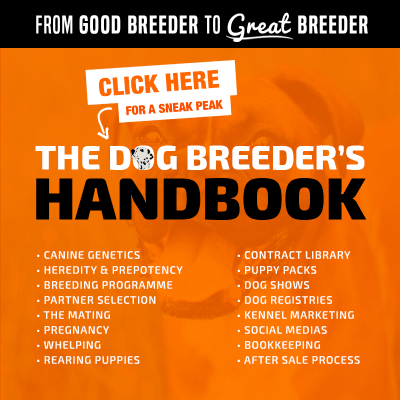 I feel bad that I have to list this negative here but I feel obliged simply because a few dog breeders will want to jump into dodgy techniques. First, if you get caught trying to game Google algorithms, you will be forever banned. And the company said itself that they bring improvements daily to their rules and algos so you could disappear at any point. Secondly, black-hat SEO is very expensive and time consuming. Put your efforts into writing quality content and promote it on social medias, you may get less visits but they will be of much better quality. Don’t chase the number of daily visits, chase the quality of each visitor. To save you some time, these strategies and tactics are considered black-hat by many: commenting a lot with your link on other blogs, paying sellers on Fiverr against backlinks, spamming forums with (un)subtle backlinks, guest posting the same post in several websites, stuffing your articles with the same keywords and variations in an unnatural way, etc. Most kennels and dog breeders use WordPress for their website; it is a content management system that is very modulable. I believe that today, 99% of the themes (designs) available for free are mobile-friendly and fully responsive. Therefore, by using WordPress you are somewhat ensured that this is taken care of without the need for you to do a single thing. The previous point about mobile-friendliness brings us to this point: smaller devices usually use slower connections. Therefore, your website must be light, blazing fast, and properly configured. Compress the images and photos your use, use the automatically resized version of your images on WordPress, and so on. 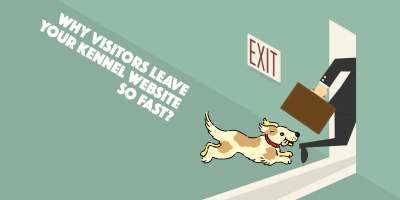 Another important part of a dog breeder’s website speed is the host they are on: cheap hosts run cheaper softwares and are very much slower in all aspects. Pricier hosts like SiteGround are a lot faster. We, ourselves, has to change hosting company last summer due to our increasing traffic. We now have faster loads and no downtimes. Using a lot of plugins on WordPress is tempting but this will also slow your website down; be very picky! Check out this post on accelerating a WordPress website. How Hypoallergenic Is The Poodle Breed? 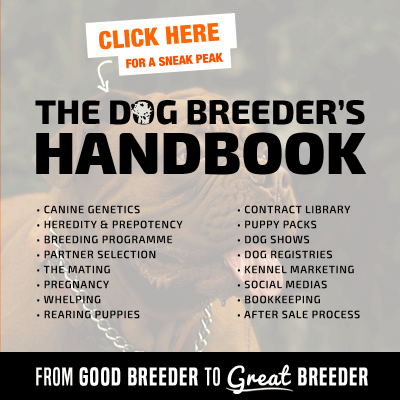 As you can see, there are plenty of article ideas for any breed in any location; you just need to brainstorm a little, search the web yourself, and even see what other breeders are doing. And do it better! Meaning, write more informative content in a format that Google loves – more and more searches now display an answer box above all results, try to target these questions and answer them. Link building is off-page SEO, meaning it is performed on another website and out of your control. On-page SEO contains all the aspects you have full control on that can make a huge difference when a search engine crawls and indexes your pages. It starts with keywords obviously (density and variations) but there are so many other levers you can play with on a page to improve your overall ranking. Additionally and even more importantly, make sure your keyword and its variations for a given article are present in the first paragraph, the article’s title, the page’s url (permalink on WordPress), and in the conclusion. Obviously, in the content too, but these are critical locations if you want to boost your rankings for a given keyword. Improve your internal linking, too. Let’s say you wrote a piece on obesity in the Poodle breed two months ago and you are now writing an article about the best diet for a healthy Poodle. You then mention obesity in your new article (the topics are very much related.) Most webmasters do not do much and keep on writing their article. Improving your internal linking means going back to every single one of your posts and add internal links to related posts. 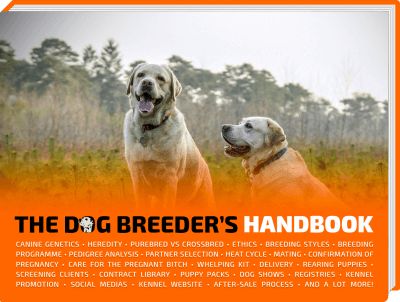 Infographic: the most important parts of on-page search engine optimization for dog breeders. Creating a comprehensive and well-structured piece of content is good; but it is not good enough just yet. A search engine will nearly always prefer to promote websites that is regularly updated. They do not just do that randomly, it is because we all prefer a website that is alive rather than an old page that has outdated information. 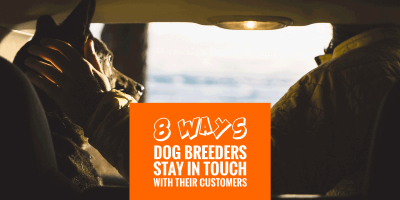 As a dog breeder, there may not be enough topics to allow you to write a post every day on, I know. However, you could easily write a cornerstone article monthly, and simple kennel updates weekly. 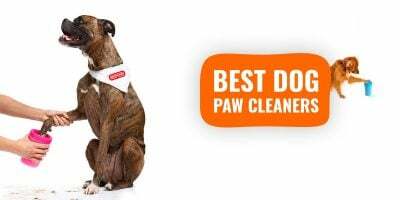 We’ve got an article discussing what types of contents kennel websites should publish. Not every article has to be cornerstone and 5,000-word long, you can just have an editorial calendar and come up with news ideas yourself. Make sure you cover a lot of grounds and write quality pieces; do not repeat yourself too much and let your creative side express itself! Posting your links on social medias does not hold anywhere near the same value as regular backlinks do, and it’s normal. They still offer twofold benefits. Firstly, a lot of people can see your content and discover your website, hence increasing the chances of them sharing it on their website. Secondly, search engine do like to see meta activity surrounding a piece of content, it means that it is not on a dead website that nobody cares about. Social medias are not going to place you first on search engine but they will send positive signals to crawlers. There is a gazillion social platforms and it is impossible to be present on all of them: pick your favorite horses and perfect them over time without spreading yourself thin. Whether you are breeding dogs or building robots, you need to put strategies in place to grow your online reputation and this starts with search engines. 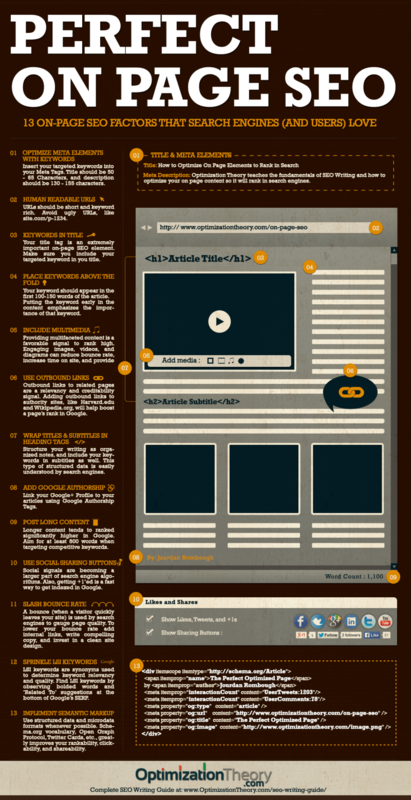 All these tips are amazing and will most definitely help you climb up the SERPS ladder. However, the only way to see what works and what does not is to use a free tool by Google called Google Analytics. Totally free and fully functional. It is what nearly every website in the world uses to get traffic statistics: how many visits, what pages users landed on, how long were they reading the article, etc. Another very important free tool is Google Search Console. And yes, it is again built by Google. This tool solely focuses on your search engine presence and traffic. They show your your position for keywords people used, and which pages are popular or not. They even give you insights on how you could boost your rankings by fixing some technical issues. Once you have all of this data, set aside one afternoon a month to study them and extract the information you need. Then go ahead and plan your action points for the coming month. If a page is very successful, it may be worth writing another article about a sub-topic from it. Use common sense and do more of what works and less of what does not.